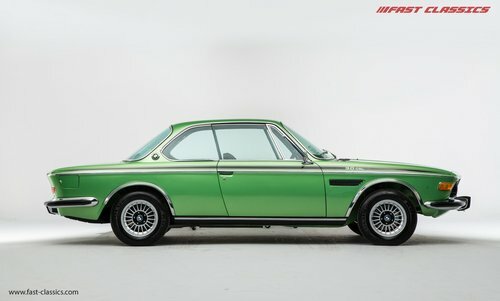 FOR SALE; UK RHD CSL with Incredible service history // Nut and Bolt restoration completed 2015. 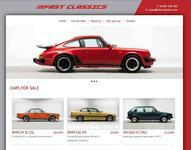 RHD City Pack, Electric windows, PAS, Scheel sports seats, Alloy wheels, Aluminum bonnet, boot lid and door skins. 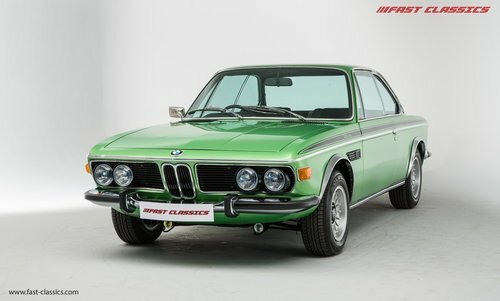 This jaw dropping CSL is finished in Taiga Green, one of the must have period colours and perfectly suited to this homologation special. The paint work is first class having recently rolled out from a 2 year nut and bolt restoration. This is chassis number 007 of the 500 RHD run and had been cared for all of its life, as such the base to start a full restoration was very sound and the resulting car is astonishing with good panel gaps and smooth straight flanks. All of the chrome work has been addressed to ensure a 1st class finish, rubber seals replaced and glass crystal clear. The headlights are brand new as are the indicator lens and chrome work nestled onto the side of both front wings. The theme continues underneath, equally clean and as good to look at as above with all components treated and rebuilt. Simply staggering and a worthy finish for such a successful touring car. 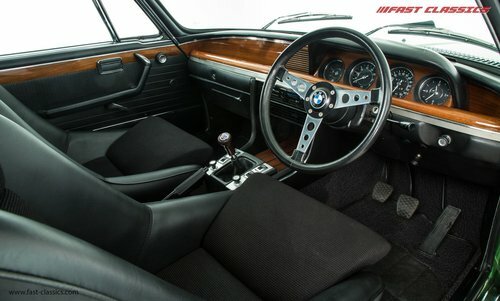 The interior in a BMW E9 coupe is like none other, beautifully laid out with lashings of wood trim it is a wonderful place to be. Much like the exterior, no piece has been left from attention inside chassis 007. Anything replaced has been done so with careful consideration and attention to ensure the original factory finish or colour scheme has been upheld. The punched black headlining specific to the CSL has been replaced with an exact copy as has the carpet, speckled in colour, more often than not just replaced with black cloth. Slide into the brand new Scheel seats and it’s obvious this is a special car. Factory door seals and window seals have all been renewed and the plastic carpet covers (all too easily broken or lost) are still present and in excellent order. The matching number 3.0L engine has been fully rebuilt to ensure common integrity throughout the restoration. Every component attached has been stripped down and replated or replaced resulting in a fresh as new finish rarely seen on the CSL. The gearbox again rebuilt with every bush of linkage refurbished or renewed that becomes clearly obvious when out on the road with a tight and positive shift. The period 14 inch BMW wheels are refurbished and present as new with sparkling chrome centre caps, new stickers and wheel bolts. Wrapped in good rubber all round with plenty of tread the multi spoke alloys hide nearly new calipers, discs and pads all round. 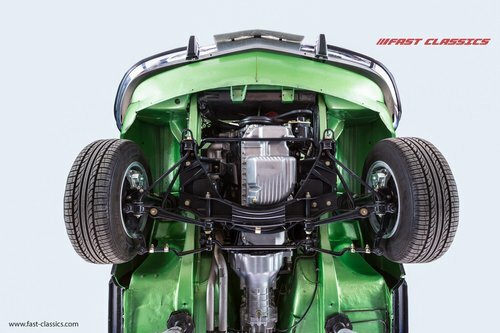 All suspension components have been renewed with new shocks, ball joints and rubber bushes complimenting an incredible restoration and contributing to a tight and responsive drive as if it were new back in 1972. First registered in 05/09/1972 chassis 2285007 has had a pampered life and belonged to just 5 keepers over its 43 years. With a huge pile of invoices from BMW main dealer Peter West, and owned by the chairman himself at one stage, the history file makes for fascinating reading. Included are pictures of the car itself outside the dealer when new along with the dealership key ring still present in the history file. 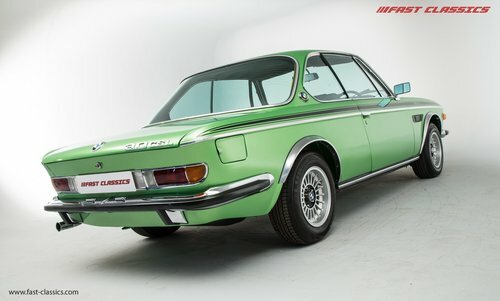 Having sold this car to the current owner in 2015 he has further compiled and organised the paperwork into what must be one of the most comprehensive CSL history files we have ever seen in the 30+ lightweights we have dealt with. 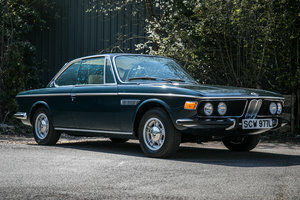 Complementing the service records is a BMW certificate of build, MOTs dating back to 1982 and a host of BMW Car club correspondents and magazines, one of which asking the then owner Mr W.J Oxtoby to return the The Sytner Trophy won in the 1987 regional concours event with the car. This was one of the first CSLs to arrive in the country in a group of 6 or 7 used as press/test cars and all registered on a selection of NRK number plates. These were the precursor to the dealer drive back cars. 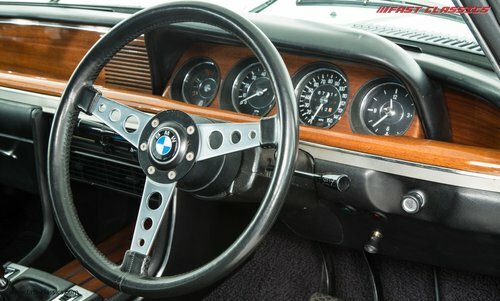 On file is a full photographic album of the restoration from start to finish showing the intense and lengthy effort that has been lavished on this historic BMW touring car.